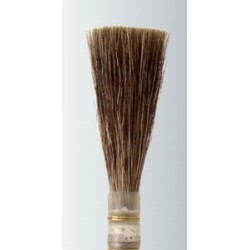 Buy2000 Series Gray Lettering Quills by Scharff Brush here. 2000 Grey Line Quills are the Iron-horse of lettering Quill Out-liners. Made from Grey Talahutky Squirrel hair. Used by professional Sign Painters and Pinstripers for hand lettering fro coast to coast. these brushes can be used for outlining letters or stripes and are very durable. 2000 Series Grey Lettering Quills work in oil or water, but work best with oil based lettering enamels. Brushes Listed Below!